“Chemobrain” is a medical secondary effect of cancer chemotherapy treatment characterized by a general decline in cognition affecting visual and verbal memory, attention, complex problem-solving skills, and motor function. Dopamine (DA) central nervous system neurotransmitters serve an important role in cognition, and changes in DA could potentially explain impaired cognition associated with chemotherapy. Therefore, our objective was to assess in vivo dopaminergic dysfunction in the central nervous system (CNS) of a group of female breast cancer survivors with cognitive impairment following chemotherapy. Twenty-eight women reporting chemobrain were recruited for this study and compared to 22 healthy reference women. Striatal dopamine transporter (DAT) binding ratio was determined by 99mTc-TRODAT-1 (a highly selective radiotracer for DAT in the dorsal striatum) single-photon emission computed tomography and a quantitative evaluation was obtained by DatQUANT™ software (GE Healthcare). The DAT binding ratio (BRDAT) in the patient and control groups was compared using the Student’s t test, a multivariate analysis of variance (MANOVA) was used to compare age, years of schooling and BRDAT. The relationship between continuous variables, such as cognitive impairment and BRDAT was assessed using Pearson correlation test. There was a difference in BRDAT between the chemobrain patients and control group. 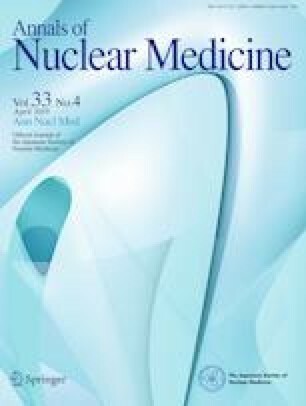 Patients had statistically significant (p < 0.05) lower concentrations of the radiopharmaceutical in the striatum. We identified a significant dopaminergic decrease in all regions of the dorsal striatum within the patients reporting cognitive dysfunction after chemotherapy. Therefore, our results indicate a possible role of dopamine transporter in the physiopathology of chemobrain, even out of the acute phase of symptoms. We are grateful to the Hospital Pérola Byington, Sāo Paulo, Brazil, and MD Anderson Cancer Center, Houston. All procedures performed in studies involving human participants were in accordance with the ethical standards of the institutional and/or national research committee and with the 1964 Helsinki Declaration and its later amendments or comparable ethical standards. Informed consent Informed consent was obtained from all individual participants or legitimate representatives included in the study.